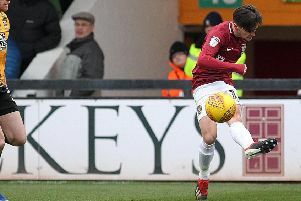 COMMENT: Where do the Cobblers most need to strengthen in the January transfer window? Manager Keith Curle has made no secret of his desire to dip into the transfer market once the window opens in January, but where are the Cobblers most in need of an upgrade? Here, we take a look at the current squad and assess how urgently each position needs addressing with a mark out of 10.